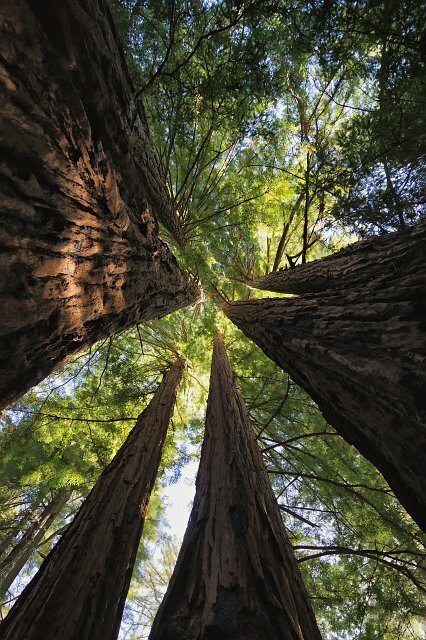 Big Basin Redwoods State Park is located in Santa Cruz County, California. Big Basin is California's oldest State Park (established in 1902). It contains 10,800 acres (44 sq-km) of old-growth forest as well as recovering redwood forest, with mixed conifer, oaks, chaparral and riparian habitats.